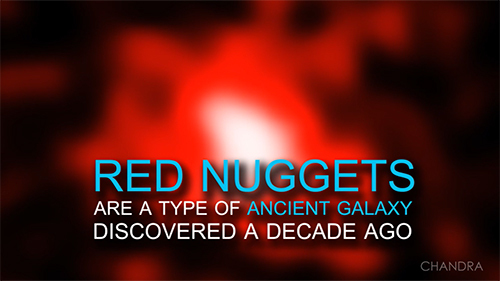 'Red nuggets' are a type of ancient galaxy discovered only about a decade ago. They are the relics of some of the first galaxies to form after the Big Bang and the ancestors to the giant elliptical galaxies seen today. Most red nuggets merged with other galaxies over the years, however, some remained untouched. 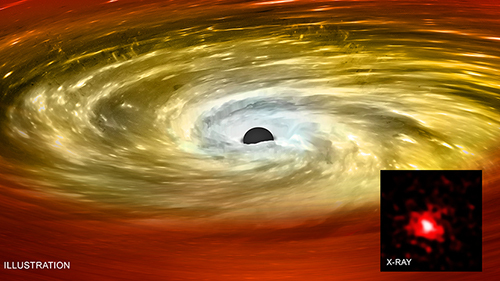 A new study of two isolated red nuggets shows the black holes in their centers play a pivotal role in their evolution. Not only does the black hole squelch star formation, it may also use some of that unused stellar fuel to grow to unusually massive proportions.